The British School at Rome, Italy. 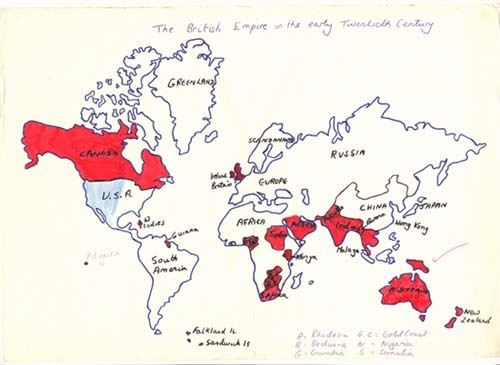 The British Empire in the Early Twentieth Century. The image converted into the virtual globe using the imaging software 3D Max was of a twenty-year-old A4 school drawing, from my own schooldays, of a world map depicting the British Empire in the early twentieth century. The world map with the coloured territory of empires is one of the most enduring icons projected into the memories of generations of schoolchildren. 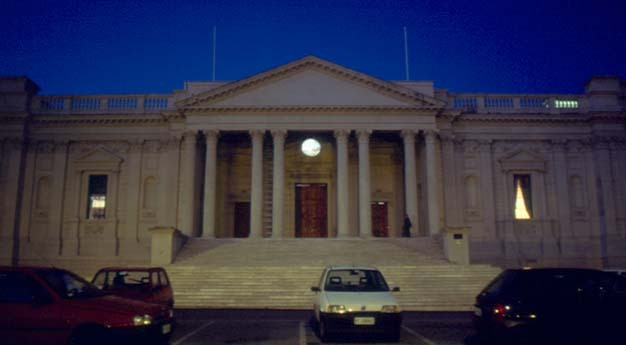 The building of The British School at Rome, designed by Lutyens, was constructed as the British Pavilion for the 1911 Rome Universal Exhibition celebrated in commemoration of the 50th anniversary of the unification of the Italian State. The Board of Trade had decreed years earlier that the façade of the building be modelled on St. Paul's Cathedral in London. The image of St. Paul's had come to assume an increasing importance and in fact was depicted as the Heart of Empire within the representation of London as the capital of the British Empire. The terrestrial globe has throughout history symbolised power and imperialism, and never more so than at the Universal Exhibitions during the 19th and 20th centuries. 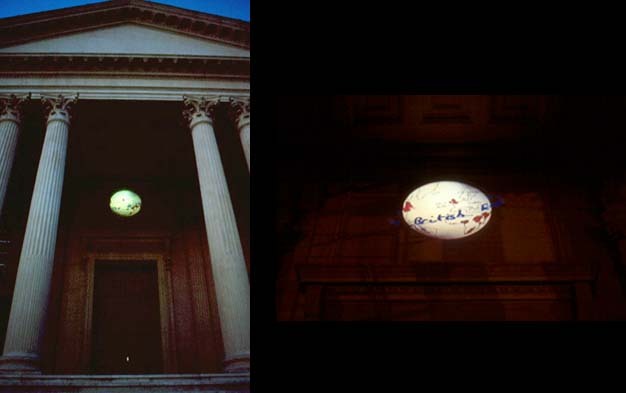 These exhibitions sought to reaffirm the identity of place in the midst of growing abstractions of space, and the constructions of great globes for these exhibitions were presented as symbols of progress, technological advances and signs that the world was getting smaller. The great globes and georamas provided a space whereby one could view the entire world from one singular perspectival standpoint.